After a protracted legal battle, State Bank of India (SBI) has declared industrialist Vijay Mallya a 'wilful defaulter' for defaults on nearly Rs 7,000 crore (Rs 70 billion) loans to the long-grounded Kingfisher Airlines. "SBI has declared Mallya, Kingfisher Airlines and its holding company United Breweries Holdings as wilful defaulters," sources told PTI. The sources said after the Bombay high court in August this year allowed Mallya to be represented by his legal counsels, SBI moved the Supreme Court challenging the HC order, saying that HC order violated the RBI rules on grievance redressal committee that allow only the borrower to be present his case in person. However, the Supreme Court upheld the high court verdict and asked SBI to consider this only as "a one-off instance" and allow Mallya's lawyers to represent him at the grievance reddressal committee meeting which was held recently. However, the lawyers could not satisfactorily present a case of genuine distress of Mallya and his companies in not paying the money they owe to the bankers. Following this, SBI declared them as wilful defaulters, the source added. However, Mallya can still challenge the label in the apex court through review petitions, according to banking experts. Meanwhile, following the development, the 17 lenders to the airline has said they will e-auction the assets of the grounded airline, in their latest bid to part recover their dues of around Rs 7,000 crore (Rs 70 billion) and accrued interest on the principal, that not been serviced since January 2013. The airline, owned by flamboyant liquor baron Mallya, had taken Rs 6,900 crore from a consortium of 17-lenders led by State Bank of India in early 2010 after a second debt restructuring for the airline. 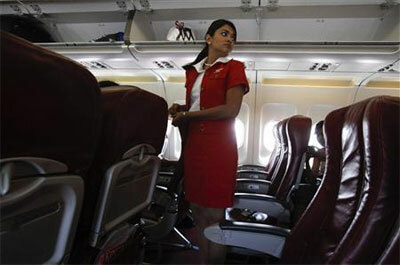 SBI has an exposure of Rs 1,600 crore (Rs 16 billion) to the airline. Out of this, the bankers, which recalled the loan in February 2013, could recover only around Rs 1,100 crore (Rs 11 billion) after selling pledged shares of UB Group companies. This February, SBI had taken over the possession of the airline's prime property Kingfisher House, near the city airport, after a protracted court battle. The 17,000 sqft-property at Vile Parle near the domestic terminal is valued at around Rs 100 crore.